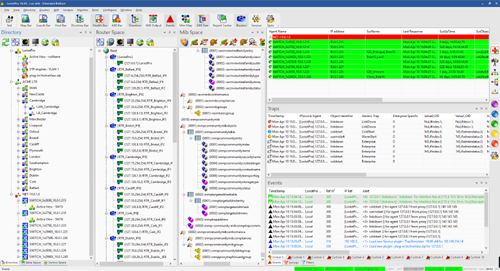 The freeware edition of the LoriotPro software gives you access to a powerful graphical snmp manager. This Windows-based software helps you to access snmp devices, analyze snmp requests, perform snmp get and set requests, compile mib files, browse mib tree, receive events and traps, discover networks and hosts. Find out what's on your network today with the new Slitheris Network Discovery.